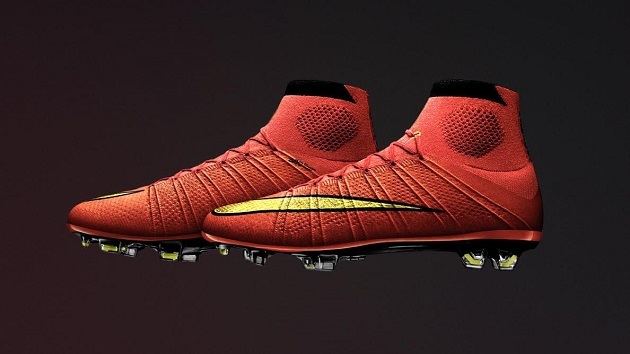 Like a bright red bullet, the Nike Mercurial Superfly IV has come streaking into view. Today in Madrid, Cristiano Ronaldo was on hand to introduce the latest creation from Nike. And man, is it fresh. 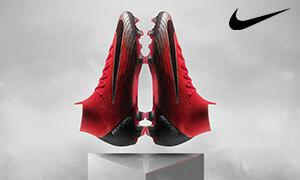 In two colors, Hyper Punch and Black, the Superfly brings a host of revolutionary innovations. Where do you even start with this thing? Let’s take it from the top. Following in the Magista‘s footsteps, the most recognizable difference on the Superfly is the Dynamic Fit Collar shooting up from the ankle. This is to provide a feeling of “locked-down” comfort that allows for the boot to become a part of your ankle and lower leg, not just your foot. We recently examined if Nike would extend this ankle collar to the rest of their footwear, and sure enough, the Superfly IV has followed suit. The next thing you will notice is the lines stretching across the upper, from the laces to the sole. These are the Flywire cables – knitted right into the upper and locked into the outsole – which are designed with attention to those quick cuts you make on the pitch. They provide lightweight adaptive support, perfect for your sudden changes in direction. One of the most ballyhooed Nike technological advancements is their Flyknit footwear. 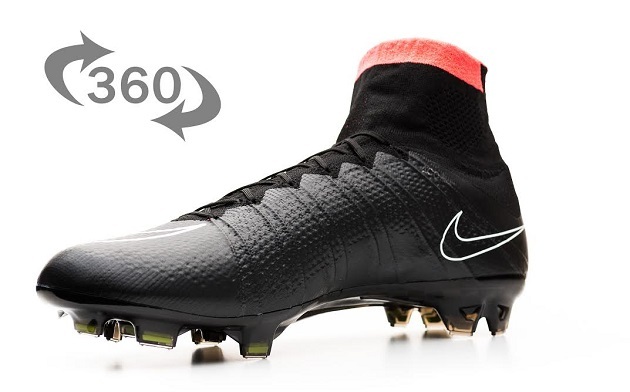 What began in running shoes has crept into soccer, first on the Magista and now on the Superfly. Here it is a three-knit constructed upper that makes for less material between your foot and the ball. 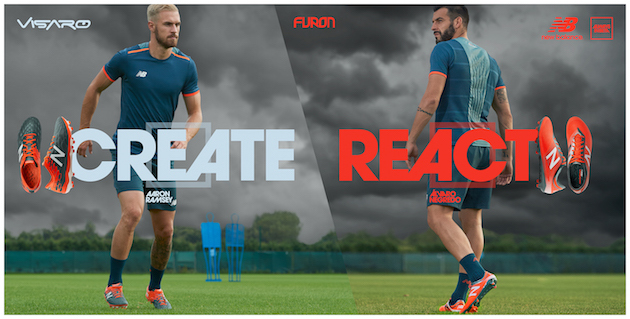 Basically, it enhances the barefoot feel, allowing you to have an insanely close touch. 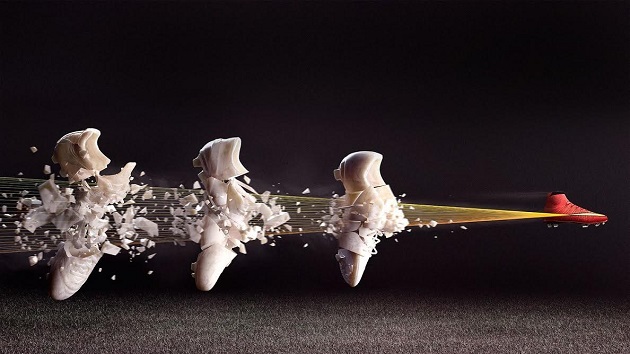 However, you can’t just have a knit material only or an opposing fullback’s cleat will tear right through it. For this reason, Nike have included their NikeSkin material over the Flyknit (also seen on the Magista) to add a little protection, but also to remain as light as possible. Finally, at the bottom we have the Vapor traction system. It’s a carbon-fiber soleplate designed for maximum speed in any direction. 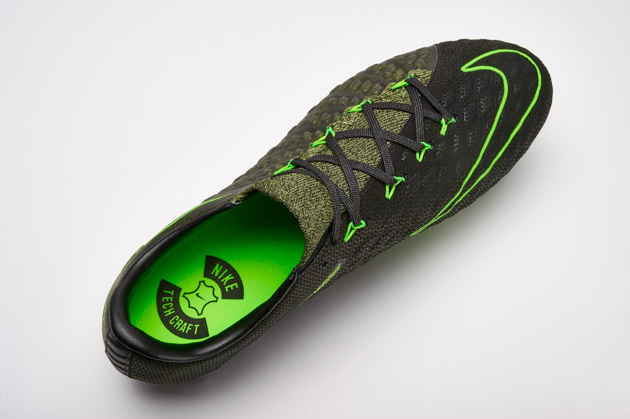 Nike have added studs at the heel for extra stability and grip when you make those quick movements up the field. Style continues on the bottom of the cleat, with a black and grey square pattern beneath the shiny plate. 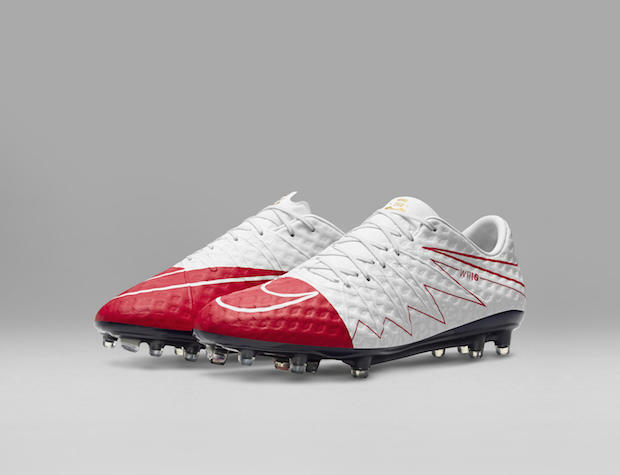 Touted by Nike as the “Revolution of Speed”, the Superfly IV looks about as clean and modern as possible. Where the Magista has a more busy aesthetic, the Superfly keeps it simple. The Hyper Punch color pops in a flashy, but not obnoxious way, and the Black stays sleek, just barely permitting a little bright pink to sit atop the Dynamic Fit Collar. Both colors are worthy of this big-time release from Nike. Make sure you check out Nike.com’s incredible virtual tour of the Superfly IV. When it goes on pre-order May 26th, get it from SoccerPro.com. Finally, what do you guys think? Are you elated, disappointed, or “meh” about the new Superfly? hi i was wondering why i cant seem to find the boot anywhere in this black colorway? Is it even possible to purchase it? gavinnealon1 It hasn’t been released for retail by Nike yet. Don’t buy these shoes! The very thin laces snap and Nike does not have replacement laces. Have just bought a pair a couple of weeks ago and the lace has snapped. Talked to a Nike store (several customers had been in to ask) who couldn’t help and the shop I bought them in had had three customers coming back this week (!) with broken laces. Crap service from Nike that they will/cannot replace laces or recommend where you get laces that will fit. I have had crummy service from Nike.